Angelic Jeanette is an International Angelic Reiki Master Teacher, Master Healer, Motivational Speaker, Enlightened Channel for the Angel and Galactic Star Realms, Star Councils and Ascended Masters, Founder and Channel of Galactic Star Heart™ Healing, Psychic Medium / Artist, Intuitive Spiritual Counsellor, Past Life Regressionist, Future Life Progressionist, Animal Healer / Communicator, Soulpreneur, Facilitator of Personal & Spiritual Development Workshops, Courses, Healings & Readings for Individuals, Groups and Corporate Events, UK & abroad. Angelic Jeanette is available for Personal Consultations, in person and via Skype, Messenger and Email. Angelic Jeanette has been working with her Spirit Guides since she was a child and was called by the Angelic Kingdom of Light to be a channel of healing, knowledge and wisdom for them in 2004. She has had many profound experiences during her lifetime, including near death experiences, where her team of Spirit Guides and Angels have come to her assistance and have performed miracles and magic before her eyes. She was a teacher for many years working with teenagers with severe emotional and behavioural difficulties. She has been a natural healer all her life and has also been ‘called’ to work with primary school children, adults and animals to help them heal and move forwards. She has trained in many different healing modalities. Angelic Jeanette works closely with Galactic Star Beings, Angels, Archangels and Ascended Masters, who join with her for Healings and Workshops. She is passionate about helping humanity re-awaken the Divine Heart and re-unite together in LOVE, helping to raise the vibration for humanity and Mother Earth. Angelic Jeanette connects with Galactic Star Beings and channels light coding, sacred geometry, colour, sound; the language of light, through herself and her clients and groups, anchoring light coding into humanity and the planet. It is an Honour and Blessing to be a Universal Channel for Love, Peace, Joy, Healing, Empowerment, Magic and Miracles. 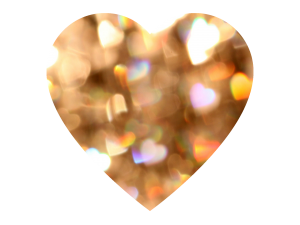 I am very passionate about sharing the energy of Divine ♥LOVE♥ with all through my Channelled Workshops, Courses, Healings, Readings and Events. modalities of Angelic Reiki and the newly birthed Galactic Star Heart™ Ascension Healer Training with all whom are called by their Angels and Star Family to be Healers for Self, Humanity and Mother Earth. I very much look forward to hearing from you so that we may have the Golden Opportunity, in this Golden Age of Empowerment, Transformation and Enlightenment, of working together with our infinite, beautiful and amazing love-light aligned family of Spirit Guides, Angels and Galactic Star Beings, who will help you to move forwards in all areas of your life, standing within your Divine Power and Truth as the Shining Lightworker you truly are.